Excellent example answers for interviews. Have convincing interview answers ready for frequently asked job interview questions. The job market has never been more competitive and your interview performance will be key to your success in landing the job. 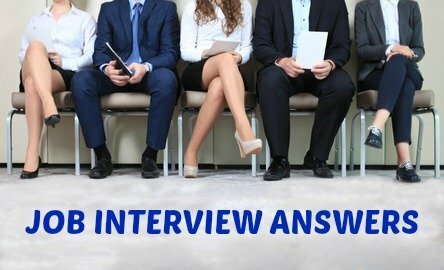 Know the type of interview questions to expect in your next job interview, prepare good answers using the example interview answers provided here and be confident of your ability to handle the job interview. Prepare a good answer for this tricky interview question that explores your suitability for the job. Tell me something about yourself that I don't know from going through your resume. "I managed a band in high school. I was responsible for advertising the band and organizing gigs. I did all the admin including making sure the band got paid. It was a way to earn some extra money and taught me useful principles about marketing and management." "I have a younger sister who needed a lot of extra help with her academics. I spent many hours tutoring her and helping her with homework. I found it rewarding when her marks improved significantly and it taught me about patience and perseverance." "I am a keen collector of sports memorabilia. I love to search online for bargains. I also visit yard sales to find interesting items. I have built up a good collection, learned how to value items and my negotiating skills have really improved!" 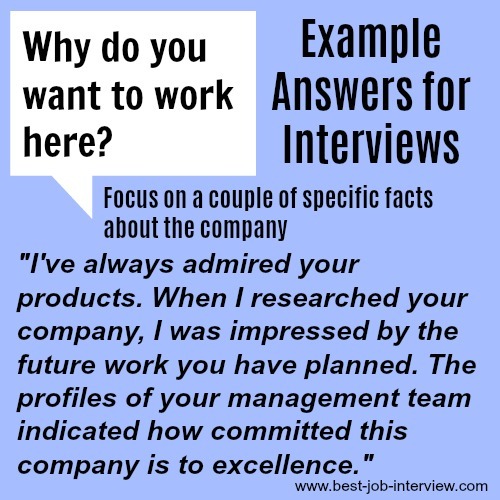 Example answers for interviews include answers to questions that explore your knowledge of the company. Using your background research find two or three specific reasons why you are interested in the company. Possible aspects that attract you to the company include the reputation the company enjoys, the type of people employed by the company, the future direction the company is taking, the opportunities in the company and the products and services offered by the company. "Your company has the best service record of all its competitors. The reviews I read from customers were outstanding. Your approach to customer management is innovative and the results are excellent. I also learned from your website that you have some exciting future projects in the pipeline including XYZ project which really interests me." "Apart from your reputation as a top service provider I was struck by your commitment to the community. Your involvement in the XYZ project is admirable and really adds value. I identified the same commitment to your employees in the company staff development programs that I read about. Your company value systems are closely aligned with mine." There are no right or wrong answers to this question. Your answer should reflect your knowledge of the company and your understanding of how you fit with the company. View sample interview answers for these challenging interview questions. Interviewers like to know that the job candidate adopts a professional approach to the job, works hard and takes responsibility. 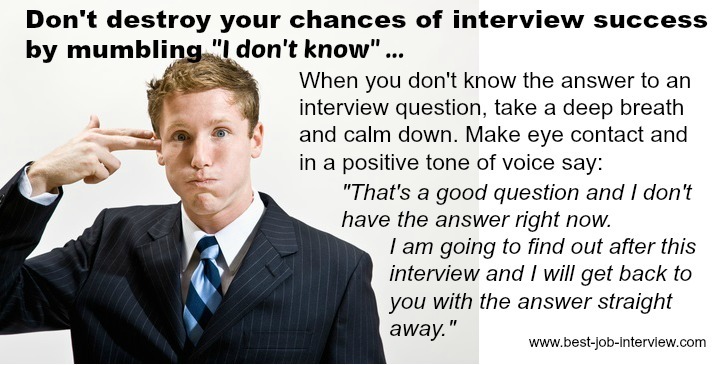 Expect interview questions that explore your diligence and professionalism. Tell me about a work-related skill you developed recently. Focus on a skill that you have worked on to improve your job performance. Typical example answers for interviews might include learning a new software application, attending a training program, learning how to operate certain equipment or follow a procedure. Select a specific skill that would add value to the job and company you are interviewing for. "I worked hard to develop my computer skills in my last job. I learned XYZ package and this helped me to process the customer management data more efficiently. I asked the company to send me on a training program to master this software and it really paid off." "I wanted to improve my time management skills as I had to juggle a number of demanding priorities in my previous position. I signed up for an online course that I could do in my spare time. It taught me a number of useful techniques for planning and organizing my work tasks." Don't get stuck. How to answer hard interview questions with confidence. For a complete guide to answering interview questions successfully go to these Sample Job Interview Questions. 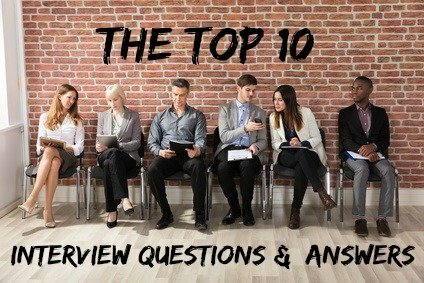 The Top 10 Interview Questions Guide with sample interview answers will ensure that you are well prepared for frequently asked interview questions. 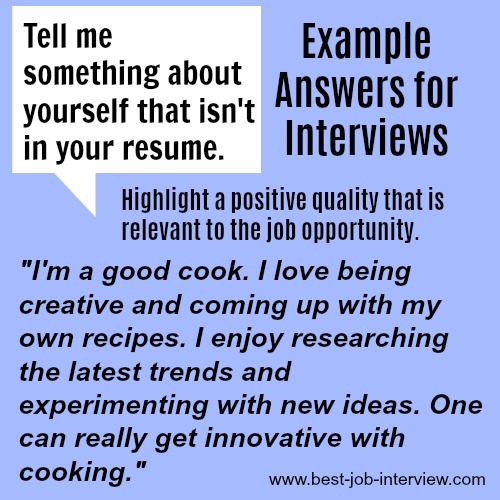 Use the search function to find example answers for interviews. Just type in the interview question you want to prepare for.